According to the World Intellectual Property Organization, China has just made it into the top 20 of the most innovative countries. To be held in Jinan, the flourishing capital of one of China’s most populous provinces, the 2018 Sino-German SME Cooperation and Communication Conference (SMEC 2018) is a flagship event of the intelligent manufacturing and artificial intelligence community. With the topic “Gather Intelligence for Innovation, Energize Industries for Future”, this year’s conference provides a platform for experts and professionals in automation and intelligent manufacturing from academia and industry to share ideas and to present the latest scientific and technical advances. You may apply for your international travel expenses (international flights, accommodation, airport transfer in China) to be covered by the conference organizer in Jinan! Representatives of industry companies will be preferably selected. As a member of the Delegation, you will be able to gain insights into the most recent developments in the field, meet high-ranking government representatives as well as top-level executive staff of Chinese and European enterprises. As a regional transportation junction, Jinan is conveniently located near the east coast between Beijing and Shanghai, with more than 60 trains per day connecting it with both cities. Please note that the deadline for registration is 17 September 2018. Please make sure your passport has at least one pair of blank facing visa pages and is at least 6 months valid from date of departure. The Flanders-China Chamber of Commerce (FCCC) and the City of Weihai have a long-term cooperation. Several members have already invested in Weihai, such as Bekaert, Beaulieu and the Huiyin Solar Group. Weihai is a modern, dynamic city with a population close to 3 million. They are actively looking for new European partners. The city was also classified as one of the top 40 cities with the best investment environment in China. Weihai has a diversified economy, with industrial clusters focused on: automotive, medicine, medical devices, electrical and communication equipment, machinery manufacturing, food processing, textiles, and garments. Weihai is also looking to attract investment in new industries, such as: intelligent equipment, marine bio industry, and the Internet of things (IoT). The FCCC would be happy to introduce you to leading Weihai companies that are looking for potential business partners. We believe you will be impressed with all the opportunities in Weihai. Interested in the possibilities of your company on this growth market in China? Participate in the group business trip to China, guided by Flanders Investment & Trade (FIT). The beer market in China is expanding: a quarter of all beer sold globally is consumed in China, the biggest beer market in the world.There is a clear trend in the market: consumption of pils beer is decreasing, while craft and special beers are gaining in popularity. The Chinese middle class consumer is more discerning and prefers quality products and has more refined tastes. A few years ago craft beers accounted for 0.3% of China’s total beer consumption. Meanwhile this share has increased to 5% and will further rise in the coming years. The group business trip is open to all Flemish brewers. You need to take into account that due to several reasons, China is not an easy market. It is advisable that you already have sufficient export experience in other markets. Lucky HuaGuang Graphics Co. Ltd. and Agfa Graphics announced today that they have entered into a strategic alliance in the graphics prepress business. The strategic alliance aims to allow both companies to grow their respective businesses by optimizing their respective strengths in manufacturing, technology and distribution of graphic prepress products and services. The latest batch of U.S. tariffs on Chinese imports went into effect on August 23, targeting another USD16 billion worth of goods. In retaliation, China has slapped hundreds of U.S. products with 25% tariffs on USD16 billion worth of U.S. imports. Calling the latest round of sanctions a “clear violation” of WTO trade rules, China’s Ministry of Commerce (MOFCOM) stressed that it will continue to introduce all the “necessary countermeasures” in order to defend free trade and China’s “legitimate rights and interests.” “China will file a lawsuit against this tariff measure under the WTO dispute settlement mechanism,” the statement said. Beijing’s remarks were voiced shortly after U.S. Customs and Border Protection confirmed that a round of new 25% duties on 279 Chinese import product categories, valued at USD16 billion, officially went into effect. Key products affected by the new duties include chemicals and plastics, as well as semiconductors, motorbikes and electric scooters. 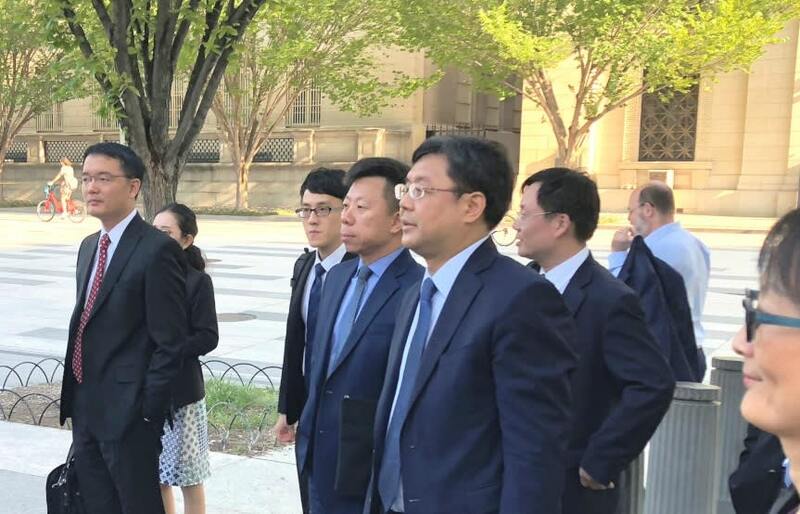 The trade war escalated despite the meeting between Chinese Vice Commerce Minister Wang Shouwen and U.S. Treasury Under Secretary David Malpass in Washington. Two days of trade consultations between China and the U.S. showed that both countries do not want an all-out trade war and that disputes might be resolved through further talks by mid-2019, Chinese experts said. hina’s Ministry of Commerce (MOFCOM) said the two countries will keep in contact on future arrangements. The Beijing-based China Chamber of Commerce for Import and Export of Machinery and Electronic Products urged the U.S. government to remove products such as refrigerators from the proposed tariff list, according to the China Daily. U.S. companies warned additional China tariffs will cripple their business and hurt customers, raising prices on everything from bicycles to car seats to refrigerators. Representatives of China’s wood and furniture manufacturing sector warned that if additional tariffs are imposed on Chinese imports into the U.S. many consumers would be unable to furnish a home. In a 2016 study, the National Association of Home Builders estimated that for every USD1,000 increase in the price of a home, about 152,903 households are priced out of the market for a median-priced new home. The USD1,000 price increase will be easy to reach with escalating tariffs. Wood products are used primarily in new-home construction and home remodeling, so any additional tariffs will have a major impact on those sectors in the U.S.
Due to unfavorable market conditions, American Airlines has decided to temporarily discontinue flights between Shanghai and Chicago, while Hawaiian Airlines will stop operating direct flights between Beijing and Honolulu after the weeklong National Day holiday in October. Both airlines cited rising fuel costs. Ongoing trade tensions affect business travel, while business and tourism visa approvals have become tighter, slowing down travel demand growth. Officials at the People’s Bank of China (PBOC) reiterated that China will not use the yuan as a weapon to deal with trade frictions. Chinese consumers’ demand for imported food has been growing steadily as the standard of living in China improves, according to a statement from the General Administration of Customs. China’s tofood imports amounted to USD58.28 billion last year, up 25% year-on-year, while the annual average growth rate over the previous five years was 5.7%. The European Union remained China’s largest supplier of food, followed by the United States, New Zealand, Indonesia and Canada. Meat, oil, dairy and seafood were among the most popular food imports in China. Chen Weinian, Purchasing Director at Shanghai’s City Shop, said that foreign food used to be consumed mainly by foreign expatriates and is now being favored by many more Chinese. A separate report from the National Development and Reform Commission (NDRC) showed that the country’s Engel’s coefficient, which measures food expenditure as a proportion of total household spending, dropped to 29.3% in 2017, below the benchmark of 30% set by the Food and Agricultural Organization (FAO) of the United Nations and falling into the range for a wealthy life. 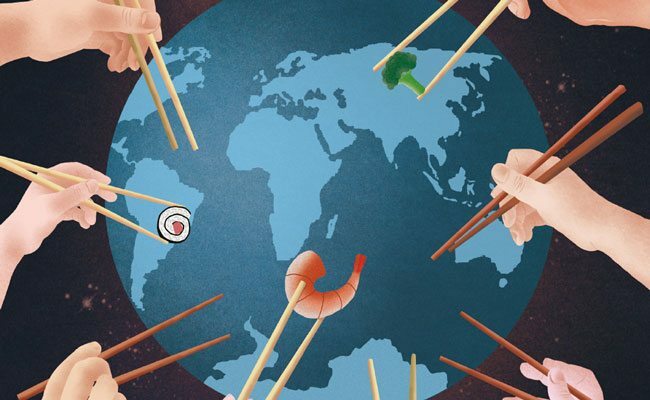 Although the proportion of income spent on food fell, Chinese people have become increasingly picky about their food consumption and want diversity and exotic tastes. For instance, over the past few years, China has been increasing its fruit imports from Latin America. The country’s avocado imports from Mexico, Chile and Peru in 2017 alone reached 30,000 metric tons. China announced a series of measures to reduce tariffs and expand imports at the 2018 Boao Forum for Asia Annual Conference. As a crucial part of food imports, Chinese customs have been striving to accelerate transportation and strengthen surveillance to ensure the quality and freshness of imported food. “We have opened ‘green channels’ for imported food and simplified the import procedures for food products to limit the process from arrival to release to just one hour,” said Zhang Xin, Vice Director of Zhengzhou Customs in Henan province. Zhang added that in the first half of the year, they reduced the average time for an imported product to go through customs to 6.69 hours, down 45.8% year-on-year. The Customs authority is also emphasizing safety in food imports. In 2017, a total of 49,000 tons of substandard imported food products from 94 countries and regions were seized by China’s customs, the China Daily reports.